Did you know that there is secret, magical portal of mental stimulation that is present each time we wake from sleep? 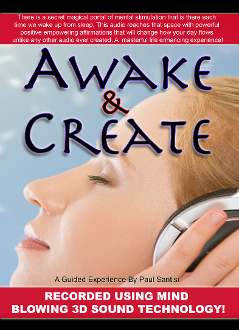 This audio reaches that space with powerful, positive, empowering affirmations in Mind Blowing 3D sound. and purpse towards the listener to create the life that they desire! You will smile and feel terrific!